LG Realty to Present Plans for Former Penn Plaza Site on Monday, January 7, 2019 from 6 - 8 PM. More information coming soon, but this is the invitation that we received. What: Update on the plans for the redevelopment of the former Penn Plaza site, hosted by LG Realty. We understand that the Final Land Development Plan (FLDP) will be presented to Planning Commission as a Briefing on Tuesday, January 29, 2019. Briefings start at 1 PM. Typically, the FLDP would then come to Planning Commission 2 weeks later (Tuesday, February 12, 2019) for Hearing and Action. We will post here as soon as we have schedule confirmation from the Department of City Planning. Please note that this file is very large and will take a while to download. 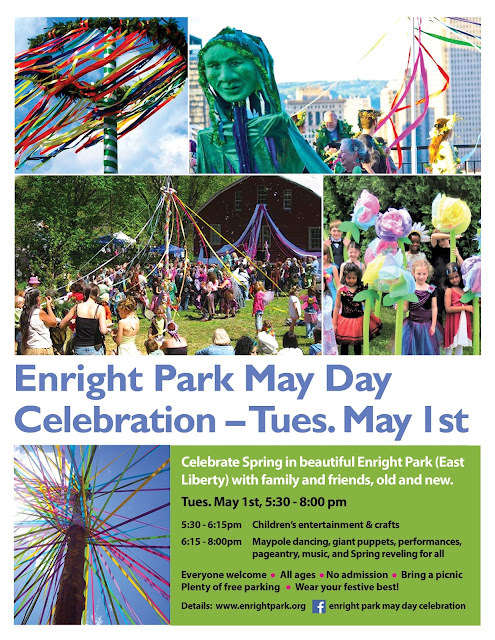 Please join your friends and neighbors for a May Day celebration at Enright Park! What: Kids activities! Maypole dancing! Live music! Giant puppets! Why: Welcome spring and celebrate. Yes, spring started April 21, but as we all know, it is just now finally getting going. What to do: Bring a picnic dinner! We will have some beverages and desserts. Dress up! Fancy dress, including fairy wings and flower wreaths encouraged. Watch here and on Facebook for more details and updates. Here is the info about the second community meeting related to the redevelopment of the Penn Plaza site and the reconfiguration of Enright Park to accommodate it. You can read Jason Vrabel's piece in The Bulletin by downloading it here. Jason also writes the excellent Downstream.city. He's covering the complexities of urban change in detail and in depth. Bob Bauder at Triblive. com covers the development proposal here, including some updated images that were presented at the last community meeting. A piece from WESA covering the community meeting here. More coverage of the community meeting on March 21 here in the Post-Gazette. And a bit of an update from Mark Belko in the Post-Gazette after the Planning Commission briefing that was held today, April 3, 2018, with the developer defending their plans. Finally, the City published notes from the first community meeting that you can download and read here. Correspondence to the Planning Commission will be accepted by mail at 200 Ross Street, Suite 309, Pittsburgh, PA 15219, and by email to dolores.hanna@pittsburghpa.gov. You can review the development plans here on the City's website, and we have also downloaded them that you can get here (but this link may not always be the most current, so please watch the City's site!). We've also tried to reduce file size for simplicity's (and your data plan's) sake. Please note that our files may not always be the most up to date ones, but we will try to share as much as possible. Long Silence, Much Exhaustion. More PLDP. No excuses for the long silence, but it has been exhausting. A new (revised) preliminary land development plan has been submitted. You can download it for review here. Public process will kick into gear in February, we are assuming. On this end, we are stretched to the max of capacity. As a side note, in downloading the RA-PLDP tonight, we realized that to keep files straight we were creating a folder for the THIRD year of this process. 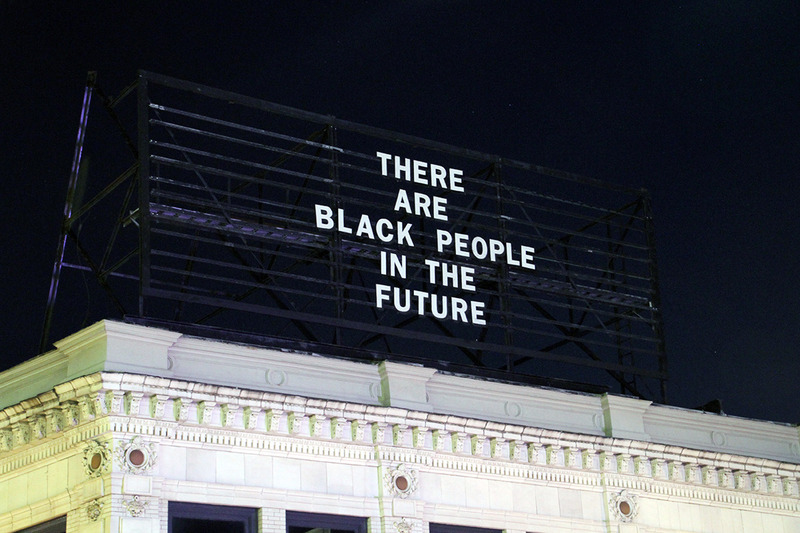 It started (publicly) in 2015. And also, seriously, why doesn't anyone over the age of 40 know how to reduce the size of their PDFs? Who wants to download 120 megs of data unnecessarily? Luckily for you, we here in Enright Park know how to reduce file size and save your data plan 100 megs along the way... Even if we are over 40.